We share the story of Jesus, disciple villagers, plant churches, and equip pastors in Africa. We employ 40 African teams who take the JESUS Film and AIDS education films to more than 2,400 remote villages each year. This is a 4 day mission to see natives won to Christ and equipped to follow Him. Our teams take the greatest story ever told to millions who have never heard the Gospel. 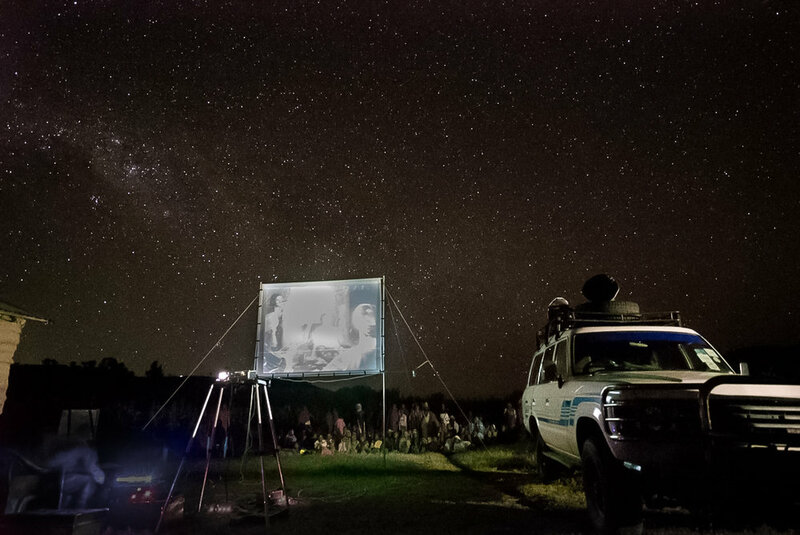 Here's Life Africa teams are equipped with a four-wheel-drive truck, a projector, a screen, a generator, DVD copies of the 'Jesus' Film, an HIV/AIDS education and prevention film, Christian literature and Bibles in the native languages. These teams of African believers go to remote villages in East and Central Africa to show the 'Jesus' Film, share the Gospel, and disciple new Christians. The 'Jesus' Film provides a powerful presentation of the life of Christ in the indigenous languages of the African people. Many who see the 'Jesus' film have never seen a film before. Traditionally, about half of the villagers who see the 'Jesus' Film place their trust in Jesus Christ. 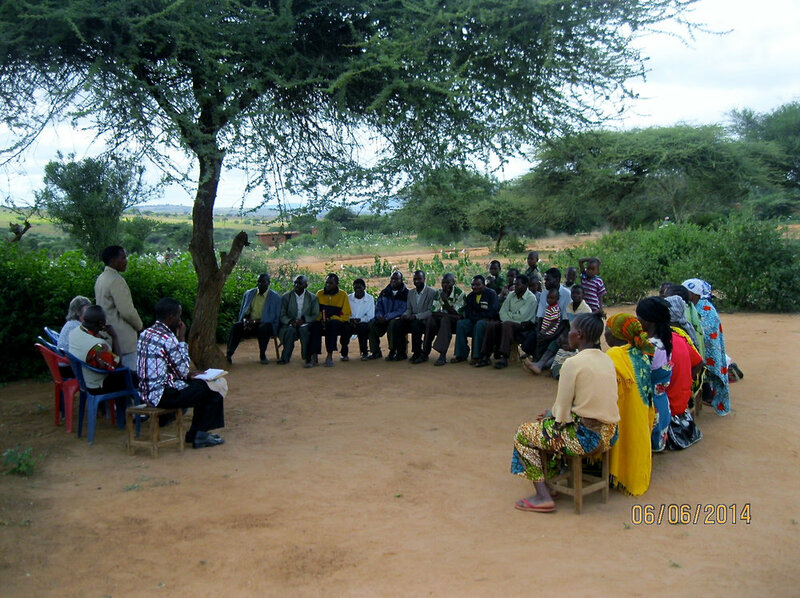 When one of our teams arrive in a village, they meet with leaders, gather the local people, and invite them to watch both an HIV/AIDS education film & the 'Jesus' film. The next morning, our teams follow up with villagers by going door to door, introducing them to an audio Bible in their native language, and inviting them to watch '40 Days with Jesus' in the afternoon. Here's Life teams continue door to door ministry with audio Bibles and invite people to small groups held in the afternoon. They facilitate these small Bible studies, called LAMP groups, using lesson plans and audio Bibles. In the morning the teams follow up with all the people who gave their lives to the Lord and appoint a village leader to lead their LAMP group. The HLA teams advise the new LAMP leader on facilitating groups, watch him lead the next lesson, and equip him to continue groups and give weekly feedback to the Here's Life team. The last evening of the village outreach, our teams show the 'Rich Man & Lazarus' film, 'Walking with Jesus' film, and lessons over the Holy Spirit, walking in the Spirit, and growing in Christ. Here's Life Africa has 40 teams currently serving in Tanzania, Uganda, Malawi. This region is very strategic because it forms a buffer zone between Islam and Christianity in Africa. Our goal is to increase the number of teams in the countries we currently serve and expand Here's Life Africa’s ministry to the neighboring countries. Last year more than 1.6 million Africans prayed to receive Christ with Here's Life Africa teams after seeing the JESUS Film. Tribal and Family conflicts resolved, Denominational unity. Modern day "Hero's of the Faith"
We realize the real key to effective discipleship is training African pastors and leaders who can then disciple new Christians and those under their care. Here’s Life Africa partners with a ministry called Strategic Impact to train pastors. Here’s Life Africa provides extensive training for pastors who have access to little to no training at all. The emphasis of the training is to help leaders multiply disciples who will ignite church planting movements everywhere. Cohorts of 30-50 village pastors are gathered together for 3-4 days of training at a time. 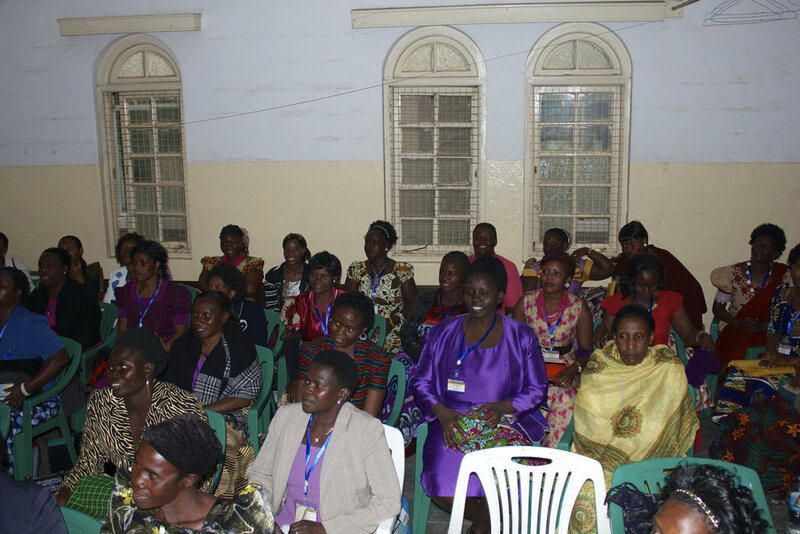 Every month, the training teams of Here’s Life Africa conduct approximately 10 conferences. Every month, 300-500 pastors are being taught. 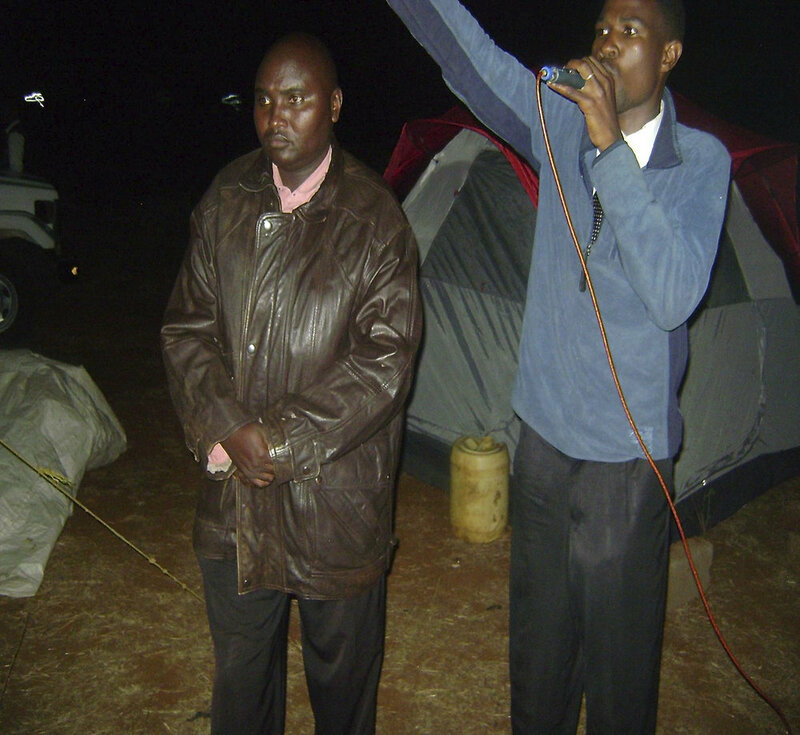 Regardless of denominational preferences, Here’s Life Africa is strengthening the Church! 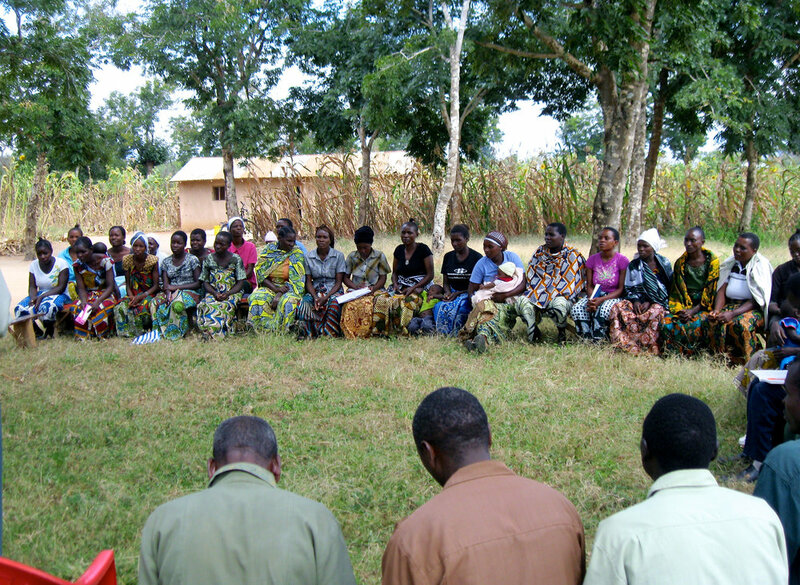 New teams are being formed to lead the effort in Uganda and Malawi. One of the newest initiatives is to host an annual pastor’s conference for each nation. The purpose of these conferences are to identify, encourage, and equip the top spiritual leaders of the nation. Contact us if you would like more information or if you have ideas about how to help us equip pastors in East Africa!